There was a record set in the first round of last week’s NFL draft. Nine defensive backs were selected, the most of any first round in NFL draft history. Is this the Richard Sherman (or more so Seattle Seahawks) Effect? Well, sort of. Let’s back up to the 2011 draft, when Sherman fell to the fifth round. What does he remember about it? You won’t be surprised by his answer. 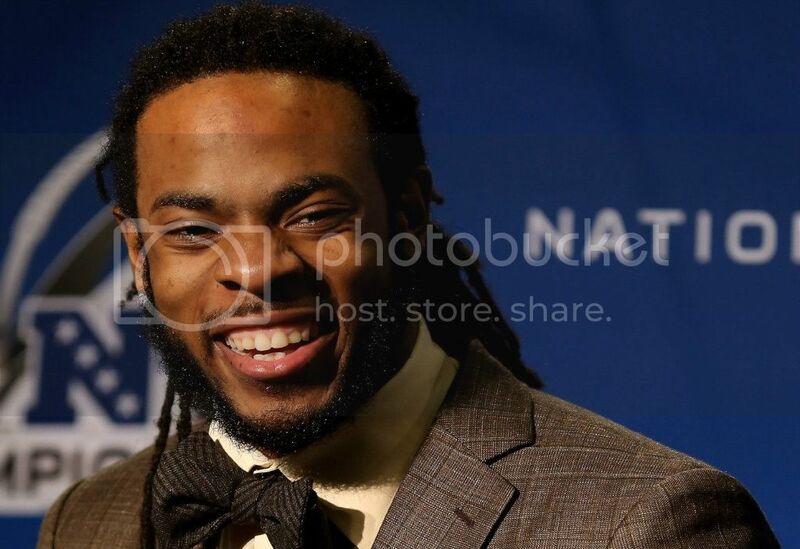 “Being angrier and angrier every pick,” Sherman said. Once Sherman (6-feet-3) was paired with Brandon Browner (6-4), the Seahawks had an enormous cornerback duo. Both ended up going to the Pro Bowl, and heads were turned. When Sherman was drafted in 2011, three cornerbacks were picked in the first round: Patrick Peterson went fifth overall, Prince Amukamara went 19th and Jimmy Smith went 27th. Overall, 39 cornerbacks were selected. In 2012, again three corners were selected in the first round: Morris Claiborne went sixth, Stephon Gilmore went 10th and Dre Kirkpatrick went 17th. Overall, 31 corners were picked. Last year, four corners went in the first round: Dee Milliner went ninth, D.J. Hayden 12th, former University of Washington player Desmond Trufant 22nd and Xavier Rhodes went 25th. Overall, 29 corners were selected. That moves us to last Thursday’s first round with the record-setting total of nine defensive backs three months after the Seahawks won the Super Bowl. The previous record of seven occurred three times (1998, 2006 and 2013). Of the five cornerbacks among that record-setting lot of defensive backs, two are 6 feet tall: Justin Gilbert (Cleveland Browns) and Kyle Fuller (Chicago Bears). The rest are shorter, all the way down to 5-9, still leaving Sherman as a rarity at 6-3. The overall pursuit of bigger, stronger, faster will continue at every position. So will the need to obtain better players to counter the massive amount of passing in the league. Seahawks coach Pete Carroll and general manager John Schneider contend their base model is not revolutionary. Carroll said he has been after big corners since working at North Carolina State in the early 1980s. Reality is, they’re hard to find. But what happened in the first round this year sends a clear message that drafting priorities have shifted, and part of the reason for that is the Seahawks being Super Bowl champions. The league is so dominated by the pass now, that the draft is, too. That’s why nine defensive backs and zero running backs were selected on Day One of the draft. The Seahawks aren’t the only ones desperate for the best secondary in the league.